Faulty IT systems at the Department for Work and Pensions have led to £800m in overpayments in 2010-11, a National Audit Office (NAO) report has found. Faulty IT systems at the Department for Work and Pensions (DWP) have led to £800m in overpayments in 2010-11, a National Audit Office (NAO) report has found. The findings follow criticism of the department's computer systems by the Public Accounts Select Committee, which it described as not being designed with the user in mind in March. At the end of last year, another NAO report blamed the department's old and poorly linked 140 core processing systems for payment errors. In 2010-11, a total of £3.3bn was made in overpayments, an increase of £200m compared with the previous year. Of that figure, £1.2bn was lost to fraud, £1.2bn to customer error, and £800m to official error. Total underpayments in 2010-11 are estimated to be £1.3bn. Some benefits are prone to error and the department faces significant challenges in administering a complex benefits system in a cost-effective way, said the NAO. 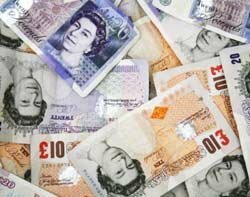 Plans to simplify benefits administration are due to come into force by 2013 with the introduction of Universal Credits. The government has said it intends to take a more flexible 'agile' approach to the development of this system, which is expected to be this government's largest IT project to date. Amyas Morse, head of the National Audit Office, said: "No system to administer benefits can ever be perfect, but I believe that there is scope for the department to reduce fraud and error levels significantly. I therefore welcome its commitment to do so, as shown by the refreshed approach it intends to take to driving down incorrect payments."